If you work in the media, you're going to get things wrong. Accuracy and timeliness are in conflict, and when you're dealing with vast amounts of information, accuracy will sometimes suffer. No one is happy about this, but it's how it is, and this is the tradeoff you implicitly accept when reading news. If you are intolerant of error, prepare to wait months for deeply-researched pieces (which of course carry no guarantee of error-free reporting). Deadspin, it should go without saying, is hardly immune from this: here is an apology for a story we completely botched, and here is a post that I personally got 100% wrong. Sometimes, though, news organizations take things too far. Once upon a time, we ran the Grantland Comments and Corrections Desk as a public service to the then-startup. Three years later, another news startup desperately—desperately—needs our help. Vox launched almost nine months ago, pitching the idea that by utilizing constantly updated articles and taking advantage of the internet's lack of space constraints, they could "explain" the news in an entertaining and informative manner. It was an interesting premise—maybe even a great one—and readers apparently agreed, as Vox's traffic and revenue numbers are reportedly great. Which is astonishing, because for a site whose foundation is explaining the news, Vox fucks up a breathtaking amount of stories. Sometimes Vox gets the name of a grocery store or the year a bill was passed wrong, but errors like that—while unfortunate—are inevitable and excusable. What makes Vox unique is not their errors, but the magnitude of those errors. Whether being taken in by blatant hoaxes, showcasing a clear misunderstanding of a study in an article that has no purpose other than explaining that study, or making multiple mistakes in a post that consists of only a graph or a short paragraph, Vox repeatedly crapped the bed in 2014. From this vantage point, the problems seem systemic, not the kind that can be fixed simply by asking writers to slow down or hiring a few more editors. Vox has hired a number of Bright Young People—and is run by the Brightest Young People—and the house style seems to be, "Write as if you are an expert, in a tone assuming that everything one needs to know about a subject can be found in your article." 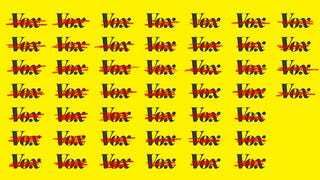 These Bright Young People may well be near-experts on one or two subjects, or at least close enough to pass as such online, but Vox publishes at the same rapid pace as the rest of the internet, on an exceptional and ever-growing number of topics, and there's only so much authoritativeness to go around. It isn't merely that writers and editors have screwed up—though they have—but that the ingredients for disaster are hardwired into the site's design. Even when Vox doesn't technically make mistakes, their model ensures that, far from explaining the news, they actively misinform readers. Here is Vox's foreign policy guy laying out an article titled, "Here's the real reason North Korea hacked Sony. It has nothing to do with The Interview." Never mind the tone (and headline) of utter certainty in the face of numerous computer security experts who are extremely skeptical of the government's story that North Korea hacked Sony. (Even Vox's tech guy—who didn't understand the problem with investing in bitcoins while simultaneously writing usually positive articles about them—thinks we need to hear both sides here.) Vox's foreign policy guy thinks he can explain the reason the notoriously opaque North Korean regime conducted a hack they may well not have actually conducted! I don't know what the solution to Vox's problem is. Maybe it's just not possible to have 20-somethings write interestingly and accurately about hard news at the internet's pace. Maybe the executive editor of an explainer site shouldn't be the guy synonymous with #slatepitch. Maybe the Washington Post knew what they were doing when they declined to give Ezra Klein $10 million. In any case, in the hope that they do much, much better in 2015, here are my 46 favorite Vox corrections, ranked. Correction: An earlier version of this post suggested there was a bridge connecting Gaza and the West Bank. Various plans to do this have been floated, but the bridge was never actually built. Correction: The first chart in an earlier version of this post said it listed the number of toilets per capita, not per 100 people. Clearly that was wrong — 102 toilets for every 1 Boulder resident would be way too many. Corrected Headline: Correction: Tonight will not be the longest night in the history of Earth. It was in 1912. Correction: This article originally said that, due to the rotation of the Earth gradually slowing down over time, this winter solstice would feature the longest night ever. I got this wrong. The Earth's rotation is gradually slowing on an extremely long timescale, but on a shorter year-to-year basis, geologic factors can alter the speed as well. Data indicates that the rotation speed has actually sped up slightly over the past forty years, likely due to melting of ice at the poles and the resulting redistribution of the Earth's mass. 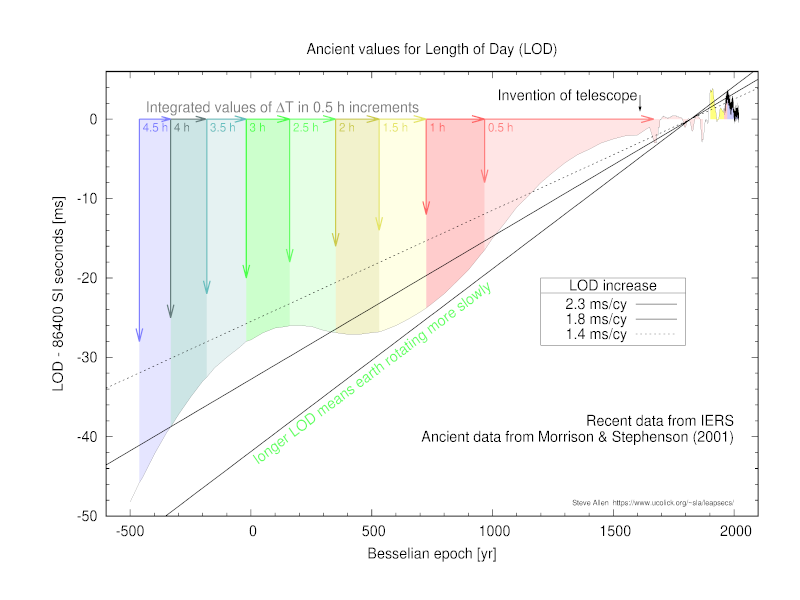 So, as far as we know, the longest night in Earth's history likely occurred in 1912. I apologize for the error. Thanks to Steve Allen and Ryan Hardy for pointing it out. 4. Headline: Can the government claim copyright in a coin design? Correction: This article was totally wrong. While works of the federal government cannot be copyrighted, the federal government can acquire copyrights from private citizens. The obverse of the Sacagawea dollar was designed by Glenna Goodacre, who may have assigned her copyright to the US Mint. We regret the error. The original post appears below. Corrected Headline: Report that Grumpy Cat made $99.5 million in two years is "completely inaccurate"
Correction: A previous version of this article reported that Bundesen had made $99.5 million off of Grumpy Cat. The piece has been updated. Correction: This post originally presented the video of a bird pooping on Putin as real, but comparison with Russian news footage from the event shows it to be a hoax. Putin's unintentionally ironic speech decrying "excessive ambitions in war," though, was very real. Correction: This article previously said the article was published by the journal. It was only accepted, because the author didn't want to pay $150. Correction: This post initially did not note that the survey was only of Jewish Israelis, rather than all Israelis. The text has been corrected. Correction: Many of the key elements of Maarten de Jonge's story have been disproven by subsequent reporting (particularly by Slate). There is no evidence that De Jonge actually booked a ticket on either flight. We're sorry for repeating unverified claims. 11. Headline: What time do the polls close? Correction: An earlier version of this map implied that all of Nebraska sees polls close at 8pm local; while that's true for most of the state, portions on mountain time see them close at 7pm. It also stated that polls in Alaska closed at 7pm, when they close at 8pm (we miscalculated due to Daylight Savings). We regret the errors. We've also changed Washington, Colorado, and Oregon to grey, as they're vote by mail states and so poll closing times aren't really applicable. Corrected Headline: Arkansas governor pardons own son for a pot offense. He should pardon a lot more people. Correction: This article originally suggested that Beebe has not pardoned marijuana offenders other than his son. In fact, a number of others have received pardons for marijuana-related offenders, though many others have not. Correction: A previous headline on this story indicated that Ferguson's police force is 94 percent white. It is currently unclear how many white officers are on Ferguson's police force. Correction: An early version of this article incorrectly said Hammon would be the first woman to ever serve on an NBA coaching staff. Correction: This article originally displayed a map that showed the incarceration rates of female prisoners. We apologize for the error. Correction: An earlier headline originally indicated John Crawford was shot after he dropped the toy gun, based on a video released with no sound. Full video footage and other media reports suggest he was shot prior to dropping the toy gun. This post was updated with a new headline, more details, and the full video footage to explain the correct chain of events. Correction: This story initially said that the federal autopsy would be the second autopsy of Michael Brown. In fact, it's the third. Brown's family also had an autopsy done. Thanks to MSNBC's Chris Hayes for pointing this out. 18. Original Headline: Did the Innocence Project frame an innocent man to get its client out of jail? Corrected Headline: Did a group dedicated to exonerating inmates put an innocent man in jail? Several recent news reports have conflated David Protess' work as the leader of the Northwestern University's journalism clinic, formerly titled the Medill Innocence Project, with that of the Innocence Project, a New York-based litigation and policy organization. The Innocence Project had no involvement whatsoever in Protess' investigation of the conviction of Anthony Porter, who the Cook County State's Attorney's office, through its own independent investigation, eventually determined was innocent of the August 1982 murder of a couple at a public pool on Chicago's South Side. Correction: Added more context, and changed the headline to correctly state the employees of federal contractors, not federal employees, are protected under the order. Correction: This article originally said Starbucks employees would be required to attend college full-time. That isn't a requirement of the tuition program, and several paragraphs have been changed to reflect this. Correction: The headline originally misstated the rate of college freshmen who are drugged driving compared to drunk driving. This post was updated to correct the mistake and clarify the data within the story. Correction: This article originally attributed the wrong quote to Russian President Vladimir Putin. Correction: This post originally reported West Bank police statistics for all arrests. In fact, as at Roi Maor at +972 points out, the data is only for youth arrests; the post has been corrected. He also notes that Israel police don't investigate crimes by Palestinians against Palestinians — the Palestinian Authority does. That would explain a large part, if not all, of the puzzle of why Israeli numbers show disproportionately high arrests of Israelis. For more, read Maor's piece in full. Correction: This post initially reported erroneous fatality statistics. I had misread B'Tselem's data tables in a way that significantly under-counted Israeli deaths, as well as some Palestinian deaths. The charts and statistics in this post have been corrected to reflect the accurate count. I regret the error and thank Philip Klein of the Washington Examiner for pointing it out to me. Correction: This story originally stated that this panel's discussion took place on November 24. As Mic's Jared Keller pointed out, it in fact occurred in April — way before the shooting of Michael Brown. We regret the error. Original Correction: An earlier version of this piece mistook the parody account for the real account of Iggy Azalea. Corrected Correction: An earlier version of this piece mistook the fan account for the real account of Iggy Azalea. Correction: This article originally said the capsule traveled at 500 miles per hour. It eventually slows down to this speed, but is going much faster upon initial impact. It also said that friction, not compression, was responsible for the heating, when in fact friction causes just a bit of the heat. Correction: A reader pointed out Cantor might be able to run as a write-in, since the Virginia law only explicitly forbids his name from appearing on the ballot. Correction: This article originally stated that the hotline received 12,000 calls. It has been updated to reflect a Lawyers' Committee press release reporting that the final number of calls received was more than 18,000. Correction: This piece — and its headline — originally emphasized the gender skew of the top 1 percent without noting the overall gender skew or the methodological issues that gave rise to it. The headline has been changed and the text corrected. Correction: An earlier version of this post said the map looked at all tweets sent in the 3.5 years. In fact, it only covers specifically geotagged tweets. Correction: Facebook has confirmed that they're not using the voting button in any user experiments this year; the headline of this piece has been corrected to reflect that, and the text of the piece has been clarified. The article has also been updated with more information about the purposes of Facebook's voting data. Correction: This article originally said that Laura Miller is the IRC's medical country director, but she is actually its health coordinator. It also said that blood bank resources had been used in Ebola treatment, but the IRC has clarified that transfusions are not typically part of treatment for the disease, so the reference to blood being used for Ebola treatment has been removed. The article has also been updated to reflect that the estimated 10% of health workers were lost in a single hospital, not the entire Kenema district. Correction: This post originally described the map as showing only deaths from car bombs. In fact, it shows combat-related deaths from a number of causes, approximately one in three of which were caused by IEDs. 36. Headline: Are Cuban cigars really better? What the experts say. Correction: This post originally characterized a study as showing wine experts couldn't distinguish white wine from red; while that's the way the study has been reported by most outlets, it actually was conducted among undergraduate oenology students, not professional experts. We regret the error. Correction: The article originally stated that Constantinople fell in 1452. It actually fell in 1453. It originally stated that Constantine made Christianity the official religion of the Roman empire, but he only began the process of Christianization. And it originally stated that triremes have 3 rowers per oar, but in fact they have 3 banks of oars, with one rower per oar. I also tweaked my description of quinqueremes. Correction: An earlier version of this post said "Lotus Flower" was the best song on Thom Yorke's album on second reference. "Lotus Flower" appears on an earlier Radiohead album and is much better than "Pink Section," the best song on Tomorrow's Modern Boxes. 39. Headline: What happened to the lost IRS emails? Correction: The original version of this piece did not include the fact that, 10 days before Lerner reported her hard drive broken, House Ways and Means Committee chair Dave Camp sent a letter to the IRS asking for various documents related to the IRS, and Lerner's division. We regret the omission and have updated the language of the piece to take this fact into account. Correction: Item number 13 was originally entitled "Drink More Water" and cited an erroneous recommendation that people drink 8 or more cups of water today. That's a myth. It's been replaced with a chart on adult vaccination rates. I regret the error. Correction: An earlier version of this article said that Germany isn't a major arms exporter. According to SIPRI, it is actually the #3 weapons exporter in the world. Correction: The chart in this post originally claimed to show the average number of suicides per month. It actually shows the average daily suicide rate per month. Correction: The USDA chart has been corrected and updated (an earlier version had incorrect data for the winter of 2011/2012). 44. Headline: How many people who start Weight Watchers maintain their goal weight after five years? Correction: A previous version of this article stated that one percent of people maintained their weight loss after five years. Correction: In my rush to admire Martha Stewart's lime privilege, I counted halves as whole limes. That's been edited and clarified. Correction: I originally stated that mobile devices running Android and iOS run Bash, but that appears to have been incorrect. Most Android phones ship with a competitor that, so far, does not appear to be vulnerable. I've updated the article accordingly. Also, I stated that a software patch to Bash would fix the problem, but it has since been discovered that the fix is incomplete.